PeterLabs Holdings Bhd, a manufacturer, distributor and trader of animal health and nutrition products is schedule to be listed in ACE Market on 26th July 2011. The IPO consists of public issue of 50.9 million ordinary shares at an IPO price of RM0.30 per share with RM0.10 par value. Out of this, 15 million shares are allocated to Malaysian public while 39.5 millions of existing shares are for sale to identified investors. PeterLabs Holdings involved in the manufacturing, distribution and trading of animal health and nutrition products which include animal feed additives, veterinary pharmaceuticals and biological. Proceed from the IPO will be used for expansion. More information regarding the company can be found in PeterLabs webpage. PeterLabs Holdings intends to pay 30% of their annual net profit as dividend to shareholders. At an IPO price of RM0.30 and 2010 figures, this translate to 3.16 percent dividend yield per year. The table below is financial summary for PeterLabs Holdings Bhd. Alliance Investment Bank is the sole principal adviser, managing underwriter, underwriter and placement agent for the IPO. For those who are interested in PeterLabs Holdings IPO you may subscribed at ATM machines or via Internet Banking. The subscription period is opened until 12th July 2011 at 5pm. Tentative balloting date is on 14th July while allotment date is on 18th July 2011. View PeterLabs Holdings Bhd prospectus in Bursa Malaysia webpage. 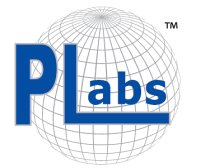 PeterLabs Holdings Bhd stock name in Bursa Malaysia is “PLABS”. What do you think about PeterLabs Holdings IPO? Are you going to subscribe? Is this worth to subscribe? Hi Guys, this company worth to buy on their IPO? Based on financial figures, it seem OK but I’m not applying. Park my money in Bumi Armada and Inari. 1-million-dollar-blog, just would like to check with you, with IPO, is it can earn money much more faster than doing long term share? Bryan Fang, nothing confirm here. Some IPO start losing since day one. There is always a risk. Hi what is fair value of this IPO?